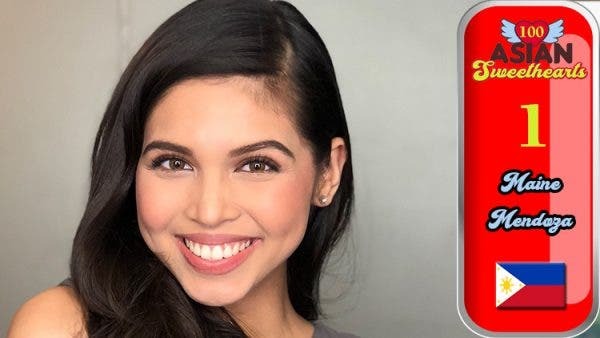 The Philippines’ very own Maine Mendoza, Twitter’s fifth most buzzed-about celebrity in the world, emerged as the winner of our month-long online poll in search of 100 Asian Sweethearts. Maine bested more than 120 nominated celebrities from the Asian continent which include TV series stars, K-pop artists, sports personalities, models, beauty queens and movie actresses. 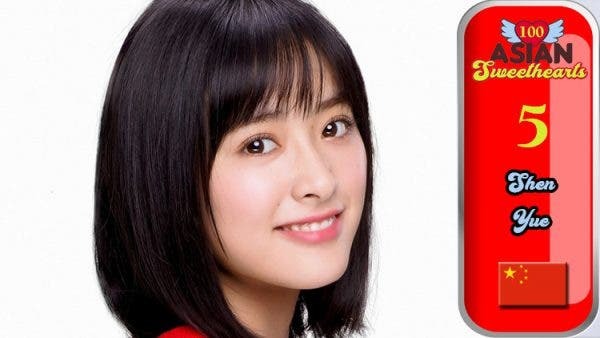 She got a total of 1,485,312 votes in the semi-finals and 757,430 votes in the finals of the fan-powered online polls on Facebook, Twitter, Instagram and the website Starmometer.com. Placing second in our list is the star of the hit movie “Brother of the Year,” Urassaya Sperbund of Thailand. Half-Norweigian half-Thai, the 25-year-old is also known for the drama series “The Crown Princess” and “Leh Lub Salub Rarng.” The lakorn actress garnered a total of 401,867 votes in the final polls. 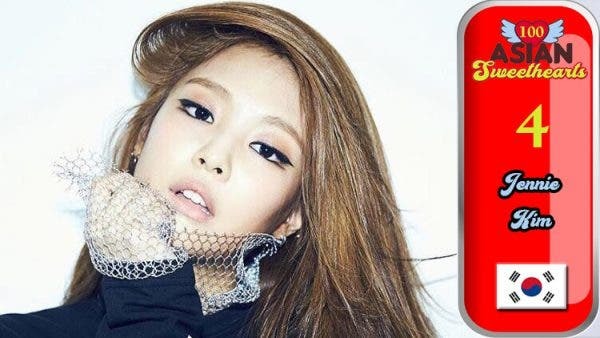 Finishing fourth in our list is Jennie Kim of South Korea. The 22-year-old is the main rapper of the K-pop girl group BLACKPINK. 100 Asian Sweethearts 2018 – Voting for Group 1 Now Open! bakit wala si sakang sa top 5 ? Congratulations and more power to you, Maine! You truly deserve the title. Thank you , Aldub Nation, for your never-ending support to this down-to-earth phenomenal young lady. God bless you all! Mga faney… Buhay na buhay ang dugo.. 41m retweets to 700k vote laki difference. Anyways happy ako for Maine at the same time maganda rin buhayin ang career at okay yan since may movie sya sa mmff. Pero sana hindi lang sa vote pati sa ratings ng mga ginagawa nya projects para magmukhang credible nman ang results. Mamatey na naman sa inggit mga fans ng ABS-CBN! Mas madali kasing mang bash sa achievement ng iba kaysa maki compete o kaya’y tanggapin na may mas magaling sa idolo nila. 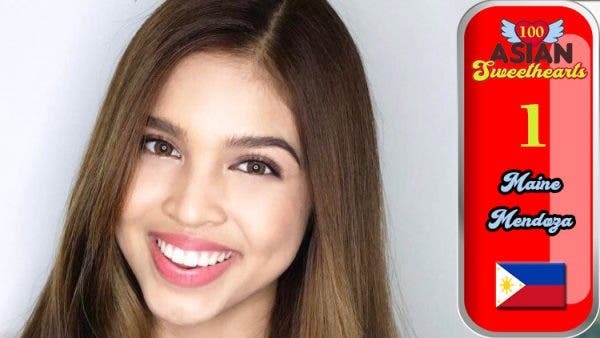 Congratulations Maine, you’re definitely Asia’s Sweetheart! Todo effort na naman ang GMA7 na la ocean. Itong si Maine ang may power sa ganyan. Nakakamiilion tweets daw pero wala namang nanonood sa mga palabas nya sa TV at sa sine. Hahaha. Congratulations Maine! You deserve the title! katawa talga ang mga aldub nation…pati ito pinatulan….nde nila alm n maka brand x ang blog site n to…hay naku!! Congrats Menggay! Thank you Aldub Nation! You deserve it Maine. Congrats to our Queen Maine. You deserve to win. ADN loves you so much. Congratulations Meng! We fought hard & prayed for this. Stay humble & grounded Menggay. We love you! WHat’s the basis? For being untalented? Congratulations Maine Mendoza! Truly deserving! Congrats Maine! Stay humble and kind. God bless you always. Congrats Maine Mendoza, the Ultimate Asian Sweetheart 2018! Congrats Maine. You deserve the title. More power and God bless you always!